The issue of which route is preferable for crossing the Minnesota River (a crossing at Le Sueur or a crossing at Belle Plaine) is remanded to the ALJ for further contested case proceedings as discussed above in this Order. The ALJ is requested to hold a hearing regarding the U.S. Fish and Wildlife Service’s June 10,2010 letter and give the parties adequate opportunity to develop the record with respect to that letter and then to determine whether, in light of that letter and the record developed with respect to it, the ALJ wishes to modify or augment his findings of fact, conclusions of law, and recommendations. The Commission also requests that the ALJ address which crossover route to the Belle Plaine crossing would be preferable and to make findings of fact, conclusions of law, and recommendations in that regard. The Commission requests that the contested case proceedings on remand be conducted thoroughly but expeditiously, consistent with the discussion provided above in the text of this Order. Here we go back to the ALJ. What’s good is that CapX 2020 couldn’t sneak through the LeSueur crossing, that was appropriately stopped. The bad news is that Belle Plaine has been left out of the mix, no hearings in Belle Plaine, and so if they’re interested, they’d better show up! With the exception of the segment including the Minnesota River Crossing at Le Sueur or Belle Plaine, the Minnesota Public Utilities Commission (PUC) approved a route permit for CapX 2020’s high-voltage power line from Brookings, S.D. to Hampton, Minn. Thursday morning. The PUC’s 4-1 decision excludes an approximately 65-mile gap between the proposed Cedar Mountain substation in Renville County and the proposed Helena substation. CapX’s proposed river crossing at Belle Plaine or Le Sueur is within that span. Thursday’s meeting came after a three-plus hour public comment meeting Tuesday (July 13) where residents along the proposed corridor raised concerns about the route, impacts a line would have on them and their property and the process. A river crossing from Faxon Township into Blakeley Township would extend the power line along Stoppelmann Boulevard, about a quarter-mile from Oak Crest Elementary School. Deja vu all over again… Remember this map? 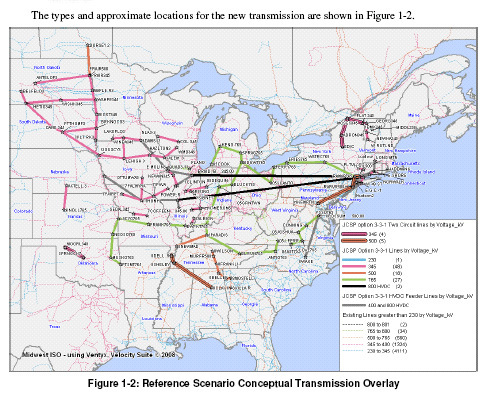 The studies also found that further upgrades in Minnesota and the Dakotas (beyond the 230-kilovolt line upgrade) will not provide significant benefit prior to installation of a high-voltage transmission line between the La Crosse, Wis., area and the Madison, Wis., area. Without a line to the east of Minnesota, the transmission system will reach a “tipping point” where reliability is compromised, according to the studies. 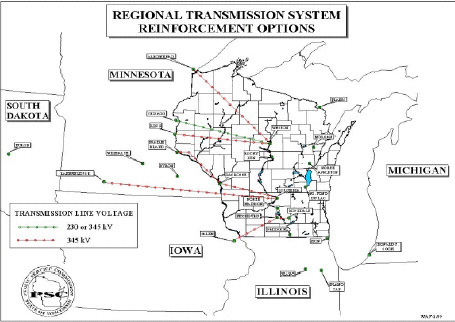 The studies found that the combination of the new 345-kilovolt double circuit line between Granite Falls and Shakopee and a new Wisconsin line would increase the transmission system transfer capability by 1,600 megawatts for a total increase — with the 2,000 megawatts from the new 345-kilovolt line in Minnesota – of approximately 3,600 megawatts. 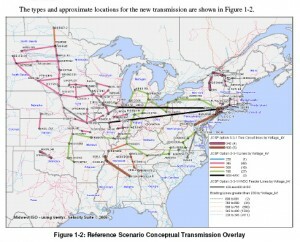 American Transmission Company announces plans for 150 mile, 345kV transmission line in Western Wisconsin. Badger Coulee Transmission Line Project is a multi-benefit project demonstrating reliability, economic and renewable benefits. American Transmission Co. wants to build a major, high-voltage transmission line from the La Crosse area to just north of Madison, at a cost of up to $425 million. 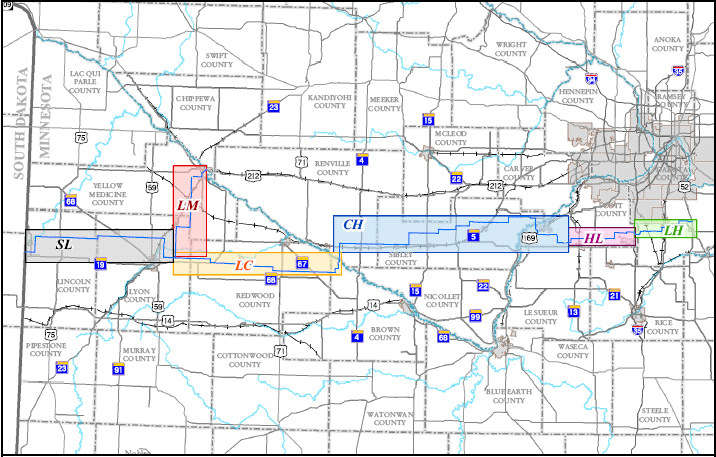 • The 32-mile, 345-kilovolt Rockdale-West Middleton line that ATC plans to build across Dane County’s width, from the town of Christiana to west of Middleton. Approved one year ago by the state Public Service Commission, construction of the $215 million transmission line is slated to begin in mid-2011 and be completed by summer 2013. • A series of 345-kilovolt lines spanning more than 700 miles from the Dakotas across Minnesota to La Crosse, called the CapX2020 project. Approved by Minnesota utility regulators, developers have not yet submitted an application to the PSC for the Wisconsin portion. ATC said the La Crosse-Madison line could benefit the state in three ways. “Badger Coulee enhances electric system reliability; it provides direct energy cost savings to electricity users, and it supports the public’s desire for the greater use of renewable energy resources,” ATC president, chairman and chief executive officer John Procario said, in a written statement. In an interview Monday, Procario said the proposed La Crosse-Madison line will help uphold stability of the region’s electrical system in case of line outages. He also said it will help Wisconsin hook into cheaper power from western states and Canada, and will help bring electricity from area wind farms onto the grid. Local environmental groups are not saying much until they can learn more about the project. “The bottom line is: Is the project needed to help provide better service in Wisconsin? We don’t know the answer to that,” said Charlie Higley, executive director of the Citizens Utility Board. A spokeswoman for the Sierra Club in Madison said her group will try to determine if the project aims to promote green power. “Generally speaking, any new investment in transmission infrastructure needs to be done in the context of our need to transition off of coal and to maximize energy efficiency and renewable energy,” said Jennifer Feyerherm, who works with the Sierra Club’s Beyond Coal Campaign. But citizen groups that opposed CapX2020 say the proposed Badger Coulee line is part of an attempt to push coal-fired power plants at a time when electricity use is decreasing, and to send the power along lines that eventually will stretch as far as the East Coast. Demand for electricity in this region hit its highest level in 2006 and has fallen since then, said Carol Overland, attorney for the groups No CapX2020 and United Citizen Action Network. “People will say it’s for wind, but it’s not; it’s for coal. Look at the (route) maps. They start in the coal fields of North Dakota,” Overland said. She said the Badger Coulee line would become a conduit carrying the power down to Chicago and beyond. Administrative Law Judge Kathleen Sheehy has file notice of a Scheduling Conference for the CapX 2020 Hampton-Alma/LaX transmission line routing permit docket — it’s the Monday after next. Monday, August 9 @ 1:30 p.m. This is the meeting where we’ll hammer out a schedule for the Minnesota side of the CapX Hampton-Alma/LaX routing, when hearings will be, when the intervention deadline is, blah blah blah, been there – done that, I know, but here we go again. Now I learn the Belle Creek Watershed District, A LOCAL UNIT OF GOVERNMENT, has been left out! 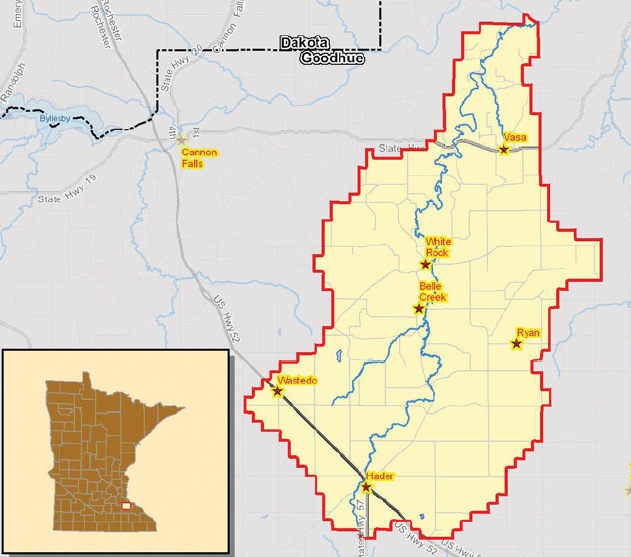 The Minnesota Public Utilities Commission (MPUC) has approved a route permit for the $700 million to $725 million Brookings Project electric transmission line, giving a cartel of electric utilities its second route approval. MPUC approved the route permit for the 345-kilovolt transmission line between Brookings County in South Dakota and Hampton, with the exception of a segment of transmission line crossing the Minnesota River. After the U.S. Fish and Wildlife Service expressed concern about the impact on birds of a transmission line crossing the Minnesota River, the five-member MPUC voted to have an administrative law judge consider that issue. 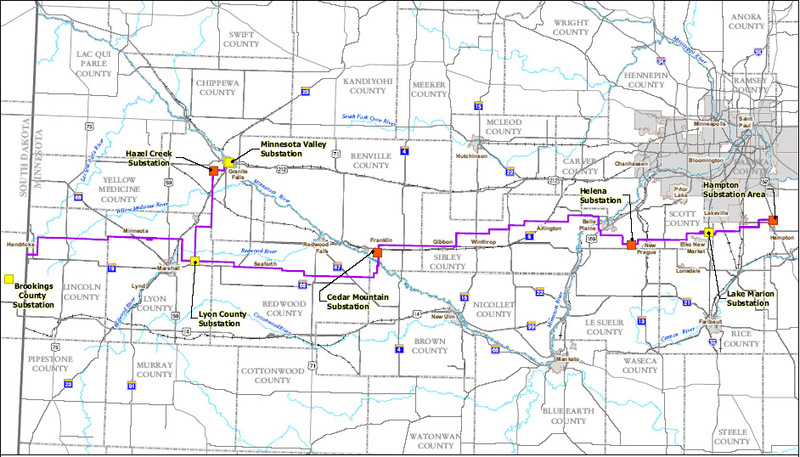 Excluding the line segment crossing the river, MPUC members approved 200 miles of the 240-mile route proposed by CapX2020, a joint initiative of 11 utilities supporting the $2 billion network that includes 700 miles of transmission lines. If necessary, the administrative law judge will schedule a hearing to provide additional information about the transmission line crossing the Minnesota River. CapX2020 proposed two river crossings for review; one near Le Sueur and one near Belle Plaine. CapX 2020 Brookings-Hampton transmission line is before the Public Utilities Commission on July 13, 2010. 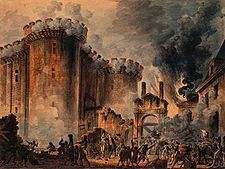 This is our chance to storm the Bastille – but you have to sign up ahead of time to speak — they’re altering their process, disturbing that they see fit to do this now, to add another layer of “chill” to get through for people to speak out. Don’t let that stop you! Call 651-296-0406 or 800-657-3782 (”Option 1″) or email PublicComments.puc@state.mn.us — tell them your name, phone number, and group affiliation if any. CONTACT THEM by Monday, July 12 @ 9:30 a.m.
Brookings Staff Briefing Papers out! COME TO THE PUC MEETING ON TUESDAY, JULY 13TH. YOU MUST PREREGISTER TO SPEAK. Call 651-296-0406 or 800-657-3782 (”Option 1″) or email PublicComments.puc@state.mn.us — tell them your name, phone number, and group affiliation if any. CONTACT THEM BY JULY 12 @ 9:30 a.m.
Today the official notice went out — the Public Utilities Commission will indeed be taking public comment and hearing oral arguments regarding the CapX 2020 Brookings transmission line route on Tuesday, July 13, 2010, and will be deliberating and making their decision on July 15, 2010. Now’s the time to get ahold of your friends and neighbors and organize the car pool and help each other write your statements, make copies and URGE EVERYONE YOU KNOW TO CONTACT THE PUC AND SIGN UP TO SPEAK!!! YOU MUST PREREGISTER TO SPEAK. name, phone number, and group affiliation if any. Now, before we get to the Brookings line, don’t forget that July 8th is the CapX 2020 St. Cloud-Monticello routing docket before the PUC. Tricia DeBleeckere is out until July 21 (how did she manage that?!?!?!) and so if you want to make a Public Comment, her email says to contact Bret Eknes: bret.eknes@state.mn.us or 651-201-2236. Contact Bret Eknes: bret.eknes@state.mn.us or 651-201-2236. 107. Some members of the public commented that they believed the EIS process was flawed. Carlos Lopez, on behalf of the Fish Lake Property Owners Association, stated that the DEIS public meeting was inadequate because there were no sign-in sheets, no maps, no displays, and only two copies of the DEIS for fifty people. He stated that the scoping phase was presented to the public and governmental agencies to gather input and ideas but that it seemed the scope was predetermined and that their comments were largely ignored. Carlos Lopez, Trans. Mar. 8, afternoon, at 61-63; Ex. 106; Ex. 107.
disappointment with the Task Force process and lack of notice provided to local governmental units on the east side of the Mississippi River. Roger Neils, Trans. Mar. 8, afternoon, at 48; Jeff Schlingmann, Trans. Mar. 8, afternoon, at 67-68; Ex. 110 (Paul Gray); Felix Schmiesing, Trans. Mar. 8, afternoon, at 106-107, and Comment, received Mar.19, 2010; Gary Hammer, Trans. Mar. 8, afternoon, at 114-116; Ex. 120 (City of Becker); Ex. 121 (Becker Township); Ex. 122 (Sherburne County Board of Commissioners); Ex. 123 (City of Becker). State Senator Lisa Fobbe commented on behalf of her constituents in Sherburne County that the decision by the Advisory Task Force to consider Route D was made without involvement from the residents of Sherburne County. Comment, Mar. 25, 2010; see also Comment, William Gulbrandson, Mar. 19, 2010. 109. Clear Lake Township commented that no representative of any governmental body in Sherburne County participated in the EIS scoping process before or after the identification of four proposed alternate routes located in Sherburne County.Clear Lake Township believes the Advisory Task Force did not comply with Minn. Stat.§ 216E.08, which requires public participation in the EIS preparation process. Comment, Roger Neils, Mar. 18, 2010.